While most people will agree in principle that more environmental protection is better for the world, they usually hold different views on how to get there. In Switzerland such divisions can be seen not only in public opinion polls, but also when the population votes on environmental policy issues as part of its system of direct democracy. Under the Swiss system, proposals for constitutional amendments signed by 100,000 citizens are subject to a national vote. Two recent votes on green initiatives are particularly interesting, notably because no other country in the world has thus far held a national vote on an environmental policy. In November 2016, Swiss citizens voted quite narrowly (55% to 45%) against closing down the country's nuclear power plants. This means that the country's five nuclear power plants can continue operating as long as the nuclear safety authority considers them safe. No new nuclear power plants will be built. 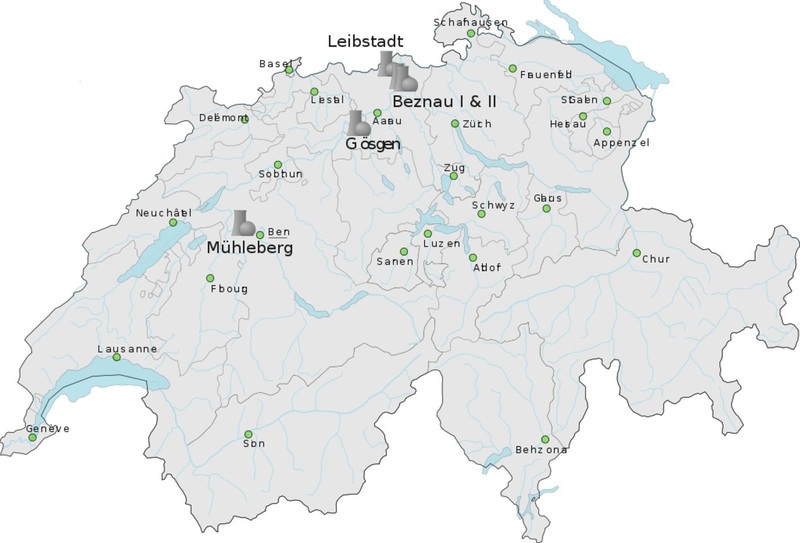 Domestic electricity production in Switzerland is exclusively based on hydropower (60%) and nuclear energy (40%). One key reason for the No vote was concern that giving up nuclear power would quickly result in more imports of fossil fuels or nuclear energy produced in other countries to fill the gap. The costs of abandoning nuclear energy would be considerable for the power supplier Axpo, which estimated a loss of US$4.1 billion while the loss of competitor Alpiq Holding AG would be US$2.5 billion. Swiss energy policy mandates that the 40% nuclear share in national electricity production should eventually be replaced with renewables, rather than with imports or domestic production of "dirty" electricity. But how to achieve this remains contested. The November 2016 vote thus means that the Swiss have kicked the can down the road for a later decision. In another national vote on September 25, Switzerland voted on an initiative to reduce the country's global ecological footprint. Switzerland is currently, according to the global footprint index, highly unsustainable. This index measures how human consumption impacts on the environment in terms of using up the capacity of the environment to sustain life on Earth. Matterhorn, in 2007. Switzerland is known for its pristine landscape, less for its high global ecological footprint. As with many other rich and open economies, international trade allows Switzerland to offload 78% of its total environmental impact from consumption on other countries. The reason is that many goods consumed in Switzerland are imported from other countries, which means that pollution and waste associated with producing those goods materialise elsewhere. This also means that measuring environmental impact in traditional production-related terms makes the environmental record of countries such as Switzerland look far better than they actually are. Indeed, according to the Environmental Performance Index, Switzerland is ranked among the best (16th out of 180). But it scores among the worst on the Environmental Footprint Index. The September 25 initiative requested that the government enact policies that, by 2050, reduce the country's per capita ecological footprint to "one Earth". This means that if everyone on Earth left the same footprint, the overall global footprint would not exceed the Earth's environmental capacity. At present, if everyone on Earth left the ecological footprint of one Swiss person, we would need three Earths. So the initiative asked for a reduction of Switzerland's global environmental impact by two-thirds within the next 34 years. Out of the 43% of citizens who voted, 36.4% voted Yes, and 63.6% voted No. Environmental protesters demand Swiss pension funds make environmentally safe investments. A recent survey revealed that younger, better educated, and left-leaning citizens were more likely to vote Yes to the vote on ecological footprints. Gender and income level did not play a significant role. Of all these factors, political ideology had the strongest impact. Meanwhile, those who voted against the initiative viewed it as potentially harmful to the economy, with the threat of making consumer products more expensive. They also perceived it as too ambitious and hard to implement, and thought that Switzerland was already doing enough for environmental protection. Does rejection of the two initiatives mean that green economy policies are doomed to fail? Not necessarily. For one, both initiatives were highly ambitious and would have imposed considerable, albeit hard to quantify, costs on the Swiss economy. Very few other countries are considering or have decided to abandon nuclear energy, and no other rich country has ever come close to adopting a "one Earth" environmental policy. The fact that the nuclear initiative was only very narrowly rejected and the ecological footprint initiative won more a third of the vote is remarkable. The same survey that revealed voter intentions on the ecological footprints also showed that the basic aims of the initiative were shared by the majority of citizens, and that around two-thirds supported greater environmental protection efforts. This means that the government has considerable room of manoeuvre left to push for more ambitious environmental policies, though perhaps in more incremental form, rather than under a constitutional "one Earth" mandate and rapid closure of nuclear power plants.